#19 Nebraska 17 - #12 Penn State 14. Nebraska took on program-in-crisis Penn State last week and pulled out the victory despite Penn State making a game of it late. Nebraska held a 17-0 lead mid-way through the third quarter before PSU scored two unanswered touchdowns to make it a close game. The Nittany Lions were driving for a tying field goal when time ran out. Thus ended the first Penn State game since Jesus rode dinosaurs around the earth that Joe Paterno wasn't the head coach. Though the scoreboard and box score say this game was close, that's not really the case. Nebraska holed up and played prevent football once they got a lead allowing PSU to crawl back into the game. Both teams' passing games were predictably inept with neither starting quarterback (Taylor Martinez or Matt McGloin) surpassing a 50% completion percentage. Both rushing attacks were mediocre, too. Rex Burkhead averaged 4.8 YPC on 25 carries while Stephon Green averaged a little less (4.2 YPC) on 17 rushes. These are two teams with suspect offenses and the game played out as such. They were a combined 11-32 on third downs, 1-4 on fourth downs, and each team turned the ball over once. This game personifies The Big Ten in 2011. #24 Michigan 31 - Illinois 14. Game recap. Illinois continued their Zookian slide in epic fashion against Michigan, failing to score in the first half and generating under 50 yards of offense for the game's first 30 minutes. Much of that can be attributed to Greg Mattison's schemes, but it's also largely due to Illinois having the worst offensive line in the Big Ten. Unable to run or pass block, and a sophomore quarterback who's a mediocre passer, this offense is barely functional. Michigan eventually capitalized on the strength of a 192-yard day from Fitz Toussaint. Denard Robinson came out of the game after mashing his hand on a defenders helmet, and Devin Gardner proved a serviceable backup. The defense turned in its best performance since 2006 by playing disciplined in addition to great individual play from the secondary, which shut down AJ Jenkins and anyone else Scheelhaase considered throwing to. We were even treated to the best CB play of the last few years when JT Floyd--of all people--jumped a Jenkins hitch route and picked off Scheelhaase. While this game is probably a bit of a paper tiger, there's a possibility, going up against two flawed offensive teams, that Michigan will be able to maintain this level of play for the rest of the year. Nebraska's defense has been weird this year. Though they allowed only 3 points to MSU, they gave up 41 to Wisconsin, 27 to Ohio State, 29 to Fresno State, and 28 to Washington. They're currently 66th in rushing defense, 29th in pass efficiency defense (about which more in a second), 38th in total defense, and 36th in scoring defense. These are good-not-great numbers, but when you see Nebraska's schedule, they're a little underwhelming (Chattanooga, Fresno St, Washington, Wyoming, Ohio State, Minny, PSU; they also played MSU, Wisconsin, and Northwestern, but the majority of their schedule is either cupcake or has a broken offense). Defensively, the Cornhuskers are led by senior cornerback Alfonzo Dennard and senior linebacker Lavonte David. A lot is going to be made of Dennard because of Michigan's obvious passing struggles and Dennard's status as the conference's best cornerback. However, I'm not sure he presents many problems for the team. Denard Robinson doesn't really have a go-to target (Hemingway, I guess) that he relies on heavily, so sticking Dennard on any one receiver doesn't make too much of a difference. Dennard will probably defend deep passes better than any other CB that Michigan has faced this year, but he won't be able to out-jump Hemingway. 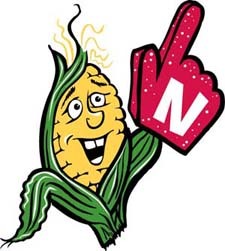 David, on the other hand, allows the Cornhuskers defense to be incredibly versatile. He's good in coverage as well as run support, allowing them to maintain consistent personnel groups if Michigan starts changing between spread and pro-style concepts. David is fast enough to affect Michigan's running game, so getting a helmet on him downfield will be critical to the offense's success. As for Michigan's schemes, those are once again up in the air. After using primarily an I-based attack against Iowa to disastrous effect, Al Borges went back to mostly spread schemes versus Illinois. This opened up a lot of running lanes for Toussaint, despite Denard having a relatively poor day on the ground. The expectation now is spread schemes for the rest of the season. I think Borges has experimented and failed enough with the I formation and pro-style attack that he's content running what the team is best at. Though Dennard's ability to lock down Michigan's best receiver might not be a huge factor in the game, his presence will be felt. Denard will have to be careful passing into the Cornhusker secondary as they're one of the better units in the Big Ten. Expect a lot of short, horizontal routes, the likes of which Borges debuted against Illinois (I'm thinking specifically about the bunch receiver set that they used with a delayed route). When running the ball--primarily with Toussaint as the coaches have made clear--Michigan will probably run between the tackles. Nebraska is dealing with injuries to their defensive line and is thin at the defensive tackle spot. Michigan's interior line should be able to seal the Nebraska linemen and get to the second level to block off David and the other linebackers. Were this earlier in the season, Jake Ryan's persistent contain issues would be terrifying here. Martinez is every bit as fast as he's rumored to be, and giving him the edge, especially with Michigan's other indecisive linebackers, is a recipe for long runs. Fortunately, Ryan et al have shown considerable improvement defending the option (save Jibreel Black and Frank Clark, who both still struggle keeping contain, don't play). Nebraska has the kind of QB/RB combo that Michigan had hoped for under the Rodriguez regime with Rex Burkhead lining up next to Martinez. Burkhead is averaging 5.1 YPC this season, has surpassed the 1,000 yard mark, and has 14 touchdowns so far. Though Michigan will still likely force Martinez to hand the ball off as much as possible, Burkhead can make defenses pay. The problem with defending Nebraska's run game, as has been mentioned elsewhere and as Mattison brought up in his weekly press conference, is that they're able to run a variety of styles and formations effectively. Michigan's defense has to really be on their toes to defend the mix of power and option running that Nebraska will bring. Fortunately, they're coming off their best performance to date against Illinois--an option team--and looked universally sound on their assignments. This game will tell whether or not the improvement we saw from the defense against Illinois is for real. Through the air, well... Nebraska is currently 101st in passing offense. God doesn't give with both hands, so what he gave to Martinez in speed, he subtracted from his passing abilities. Martinez can't throw a football like a quarterback. He shot puts the ball, which is about as effective as you might imagine. He's currently completing only 57% of his passes, has a 10/7 TD/INT ratio, and is averaging only 7.44 YPA. Martinez is only a real threat to throw the ball when safeties bite on play action. This inability to throw and the emergence of JT Floyd and Blake Countess as legitimately good cornerbacks means that Michigan will be able to use Jordan Kovacs primarily in run support, leaving either Thomas Gordon or Troy Woolfolk as the lone deep safety. As long as Michigan's linebackers/defensive ends properly play Nebraska's option attack and force a handoff to Burkhead, Kovacs' presence should strip the Cornhuskers of the blocking advantage they gain. In August, if someone had told you that Michigan would be 8-2 and favored going into this game, you'd probably have told them they were nuts, but Nebraska's disappointing season and the emergence of Michigan's defense makes this a very winnable game. If Michigan's performance against Illinois wasn't a one-off event, Michigan could similarly dominate this game. Because Martinez is hardly a threat to pass, Michigan will play primarily in man coverage in this game and load up against the run. The discipline of the front seven against a varied and unusual option attack will be key: always, always, always force Martinez to hand the ball off. Fortunately, Michigan's recent performances make me think they won't have much trouble containing this rushing attack and consequently, the Nebraska offense. On the other side of the ball: Evil Denard vs. Good Denard. Nebraska's defensive line isn't strong enough to stuff Michigan's rushing attack, which should move the ball pretty well. However, Michigan will have to call on Denard's arm a lot more than they did against Illinois. Avoiding costly mistakes against the conference's best secondary is important. He'll throw at least one interception. If he starts turning the ball over multiple times, it may be too much to overcome. A low scoring game that sees Michigan's defense dominate and the offense look shaky once again.